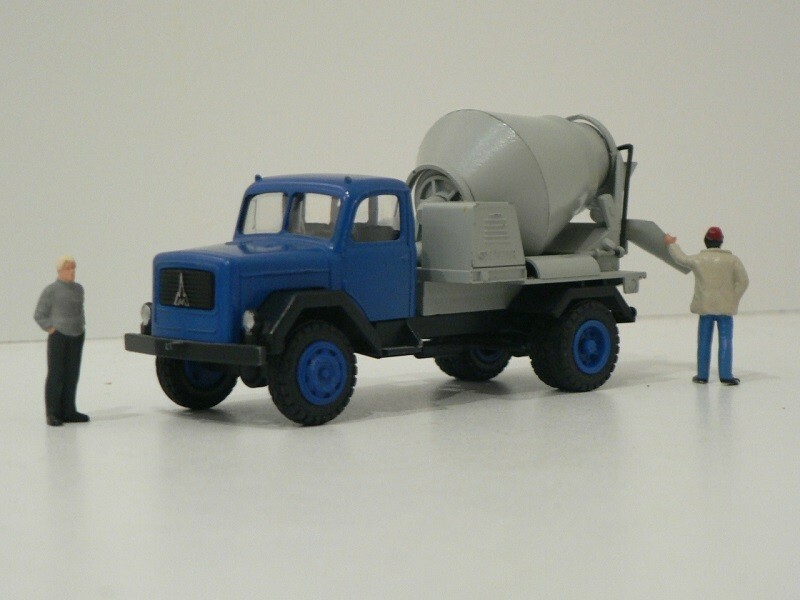 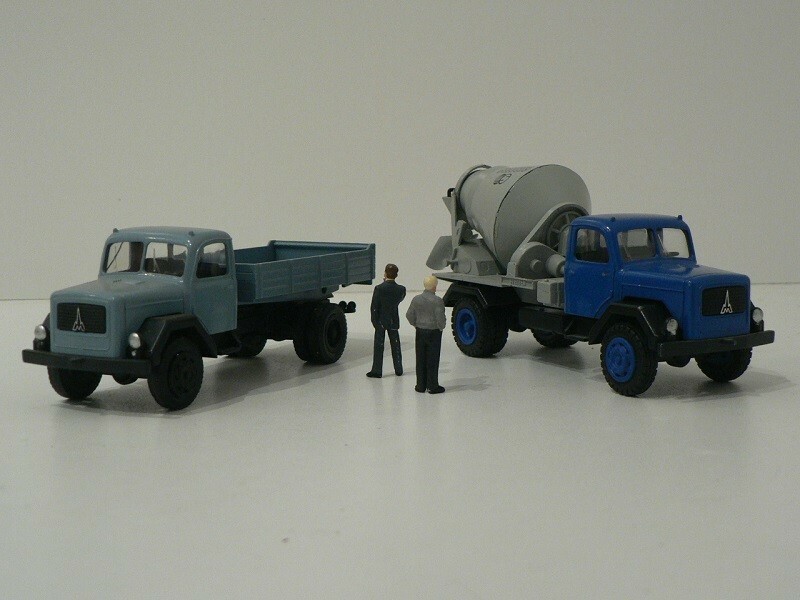 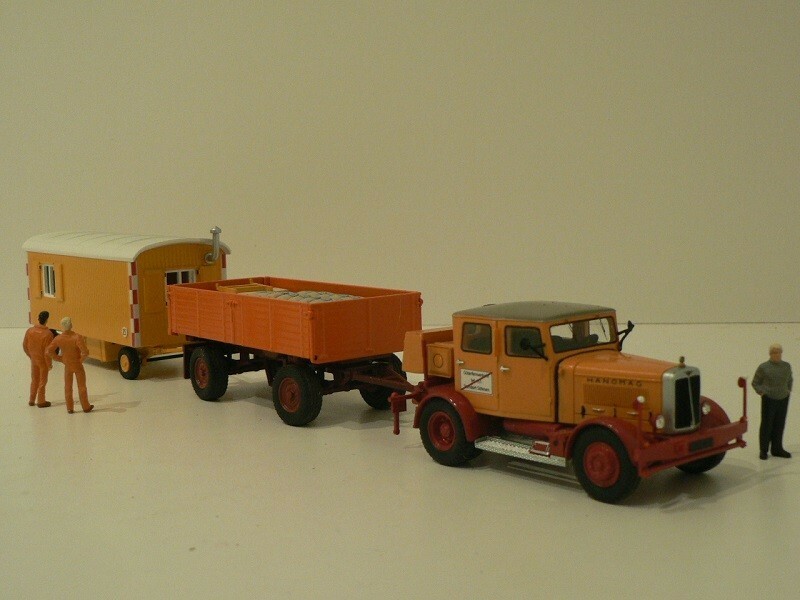 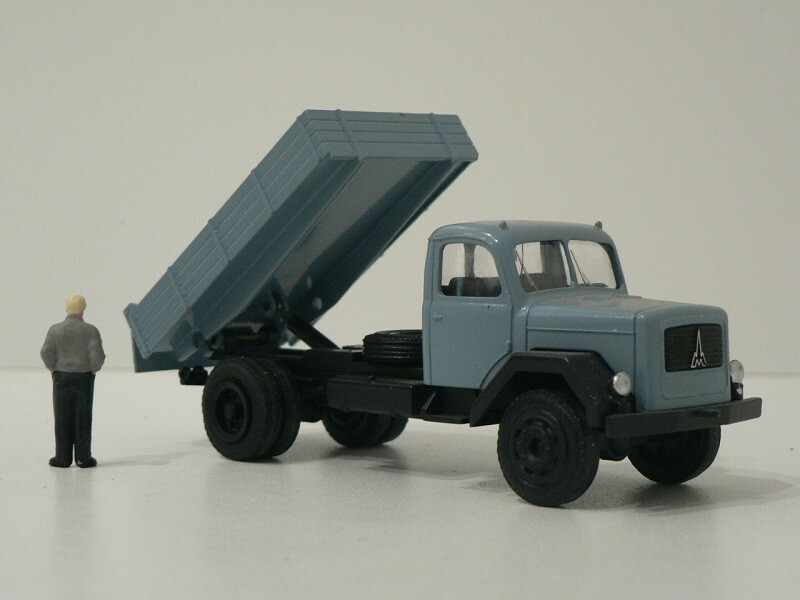 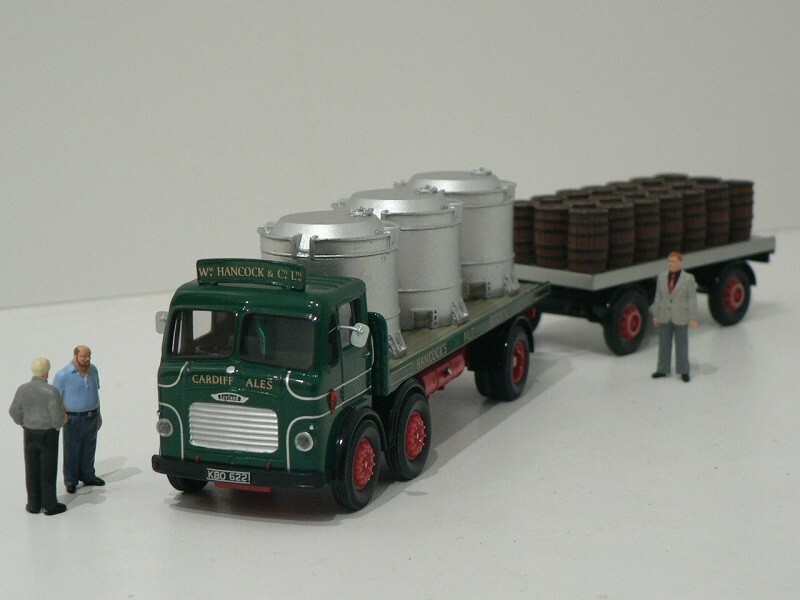 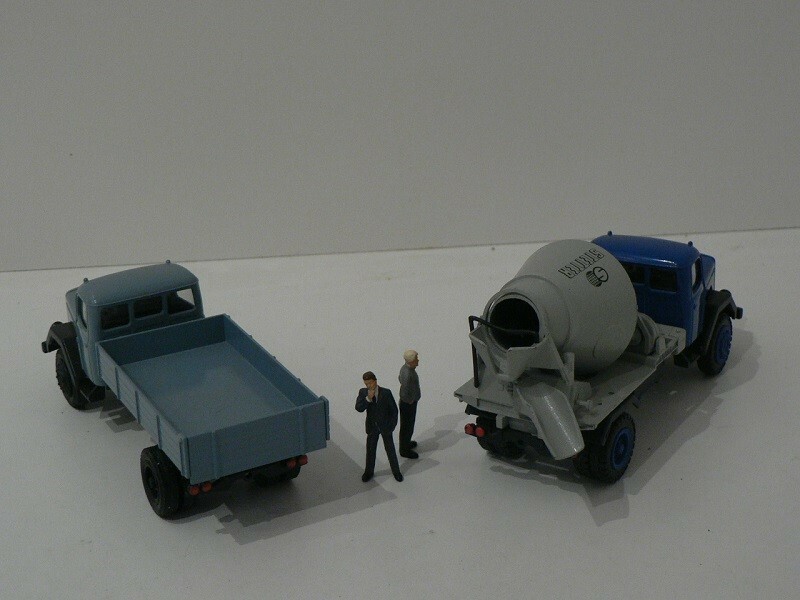 Guy that Berliet truck is really different looking, any more information on that one would be appreciated. 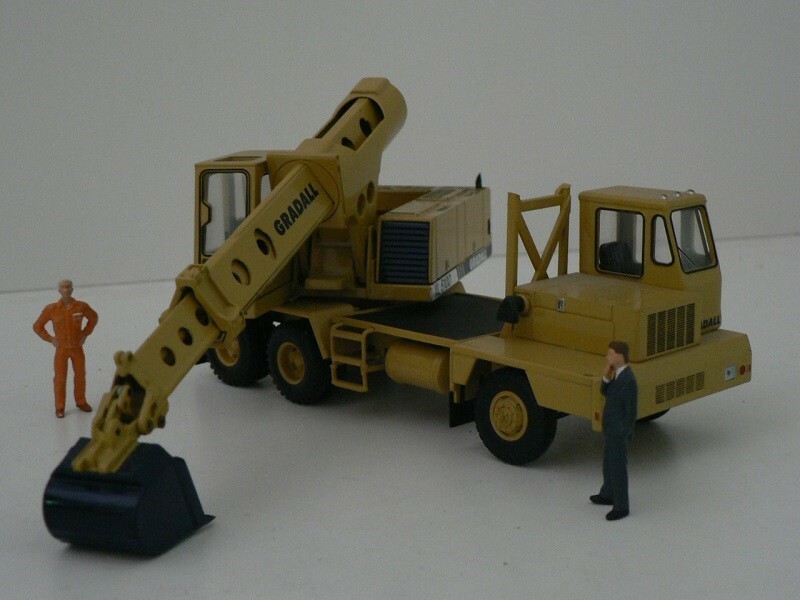 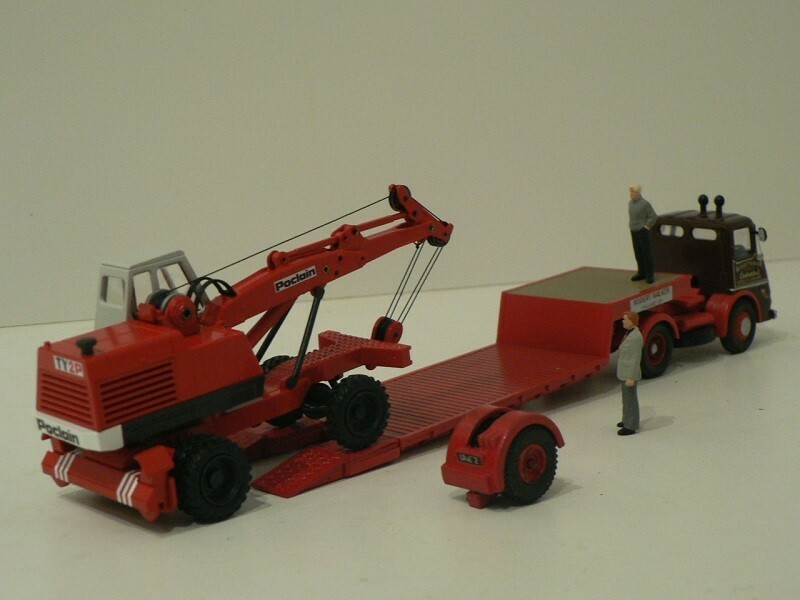 The contract never materialized and the tractor remained as a one-off. 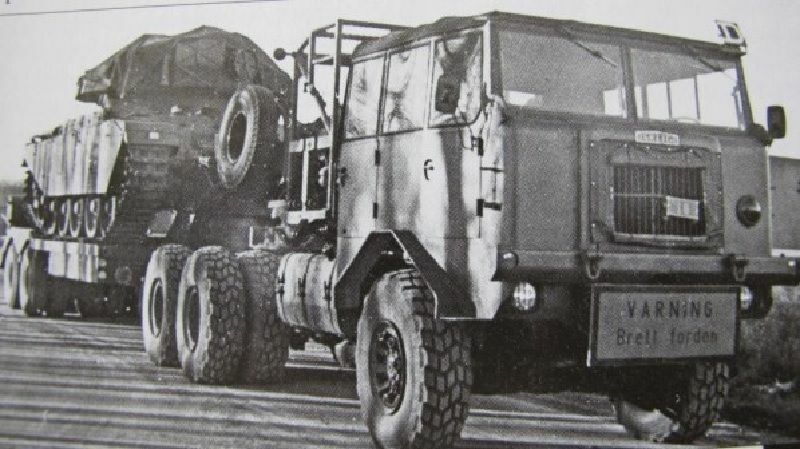 Berliet built also, for the Swedish tank transport market, the TPO 15A 6x6, which looked similar to the GBO 12M. 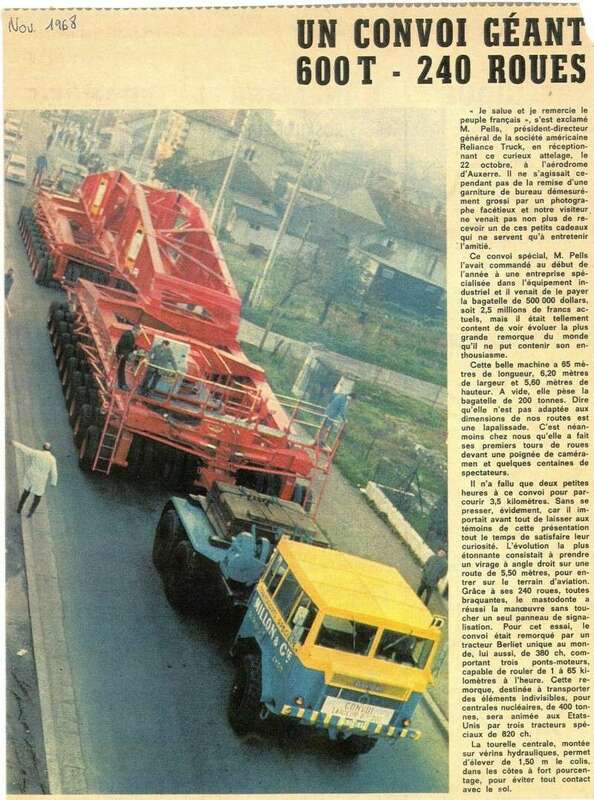 It was unsuccessful as well but its prototype was later bought by Millon, a heavy haulage company from Lyon, and was used during many years as a heavy haulage tractor. 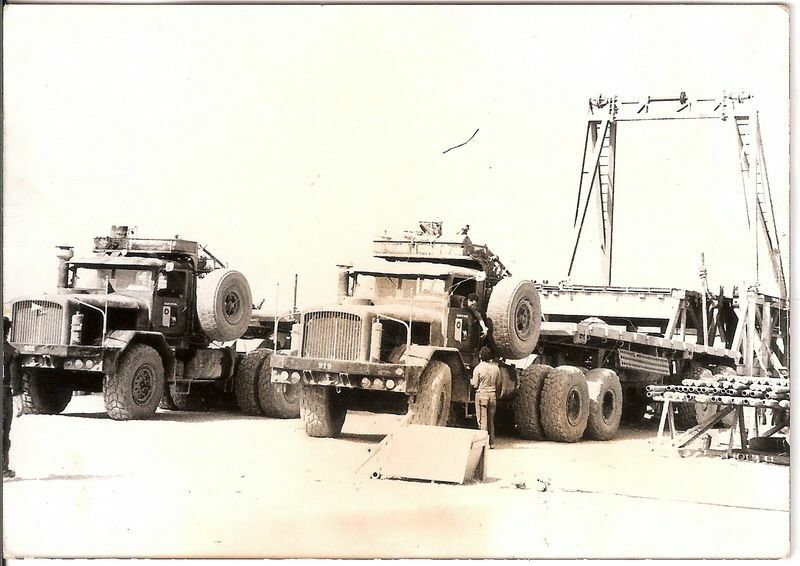 Guy thank you very much, that is one huge truck. 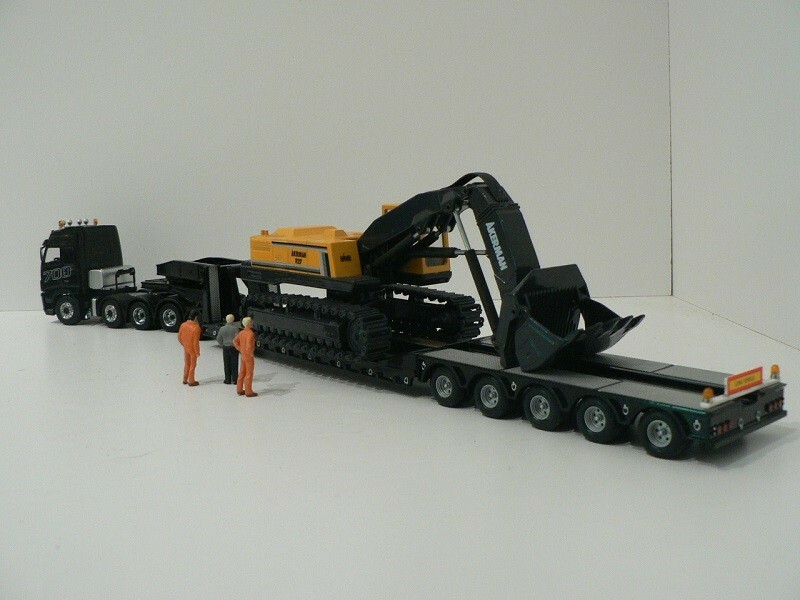 The oilfield units are even good looking whereas the first one is boxy, not that is not good looking. 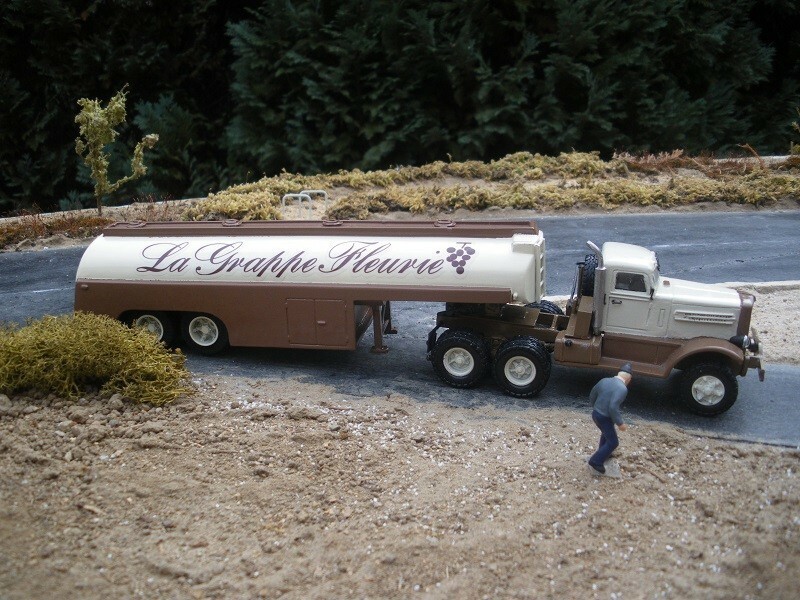 Guy I believe you would have success in putting together a book filled with your knowledge and pictures of European trucks and the industry, along with companies (liveries) involved. 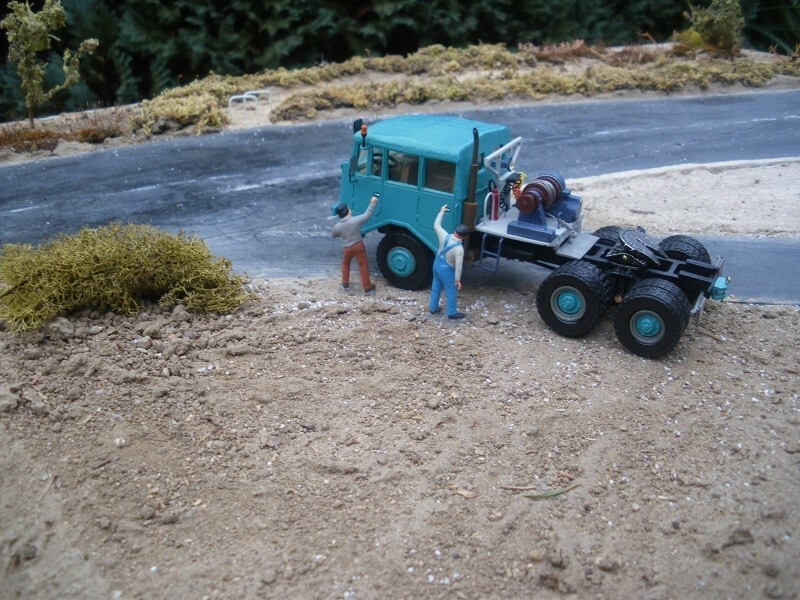 You seem to know the whole industry inside and out, with responses at a moments notice. 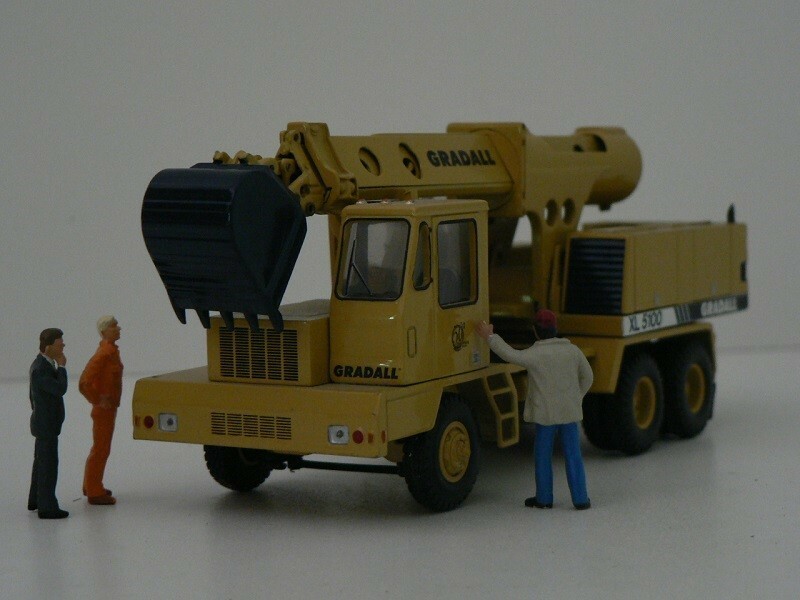 If you do become an author I would buy a book from you because it is very interesting learning how other parts of the world do what we love in our little corner of the world. 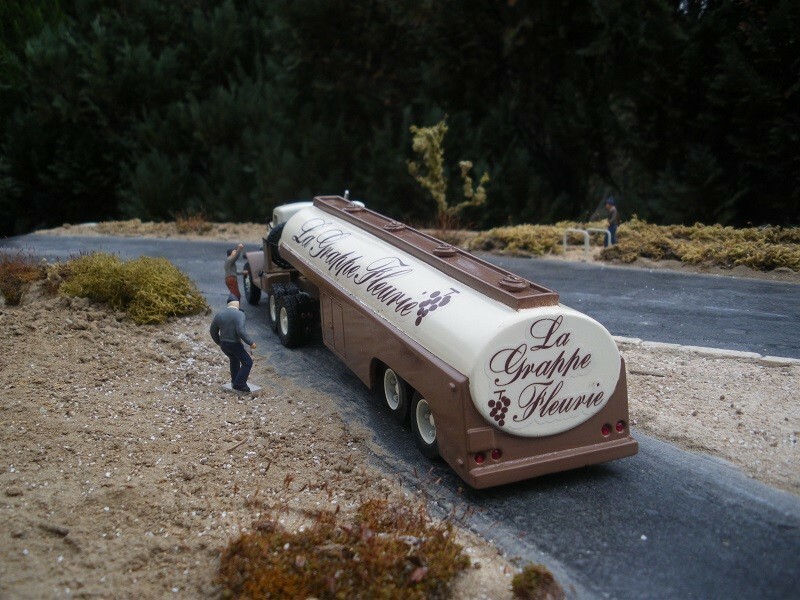 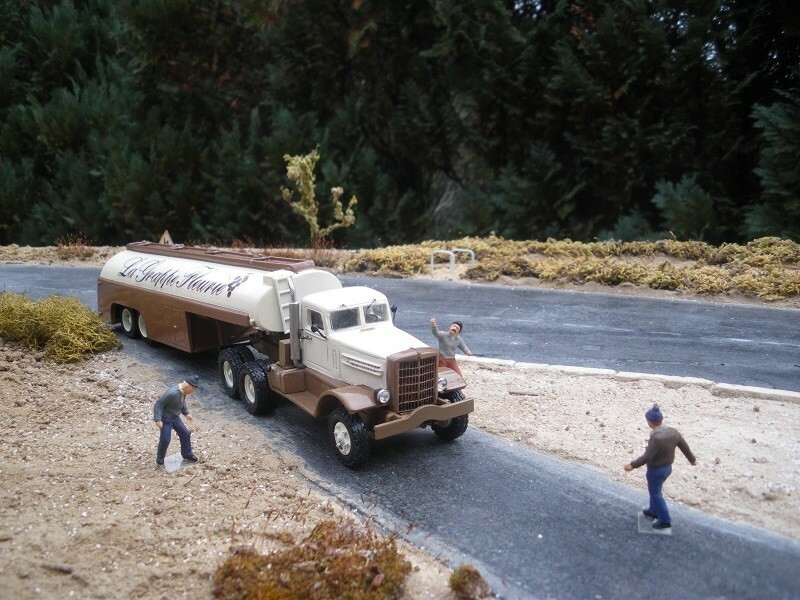 The information I have gotten from just this post is unbelievable along with seeing your teams very big and impressive collection of models and dioramas, and not just trucks and equipment. 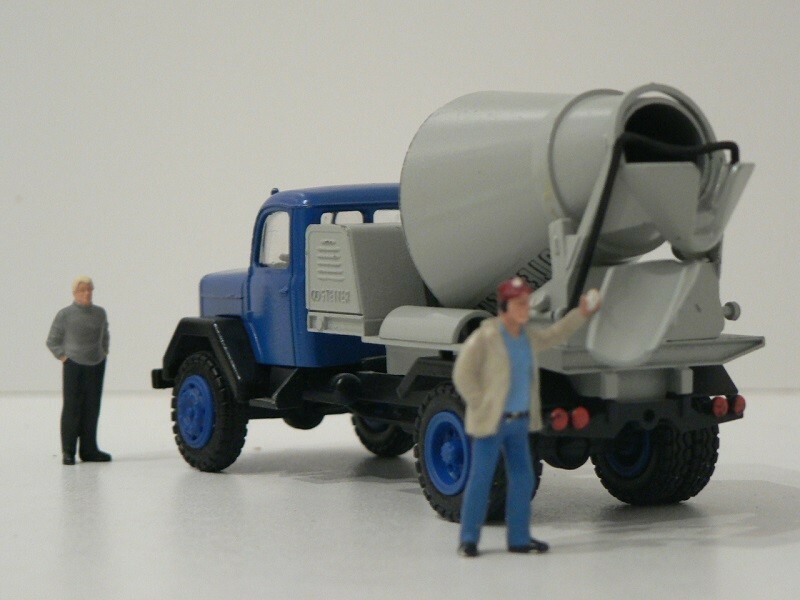 Thanks again, and think about a book (of course with plenty of pictures). 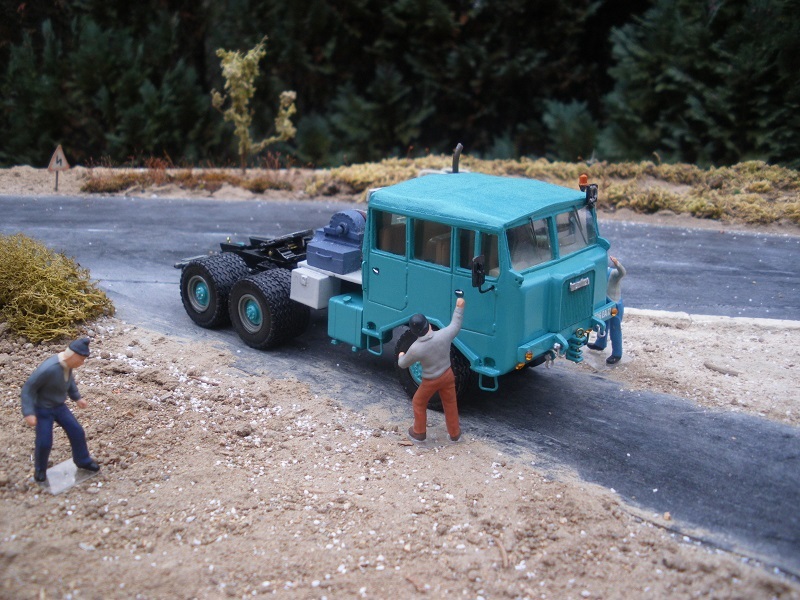 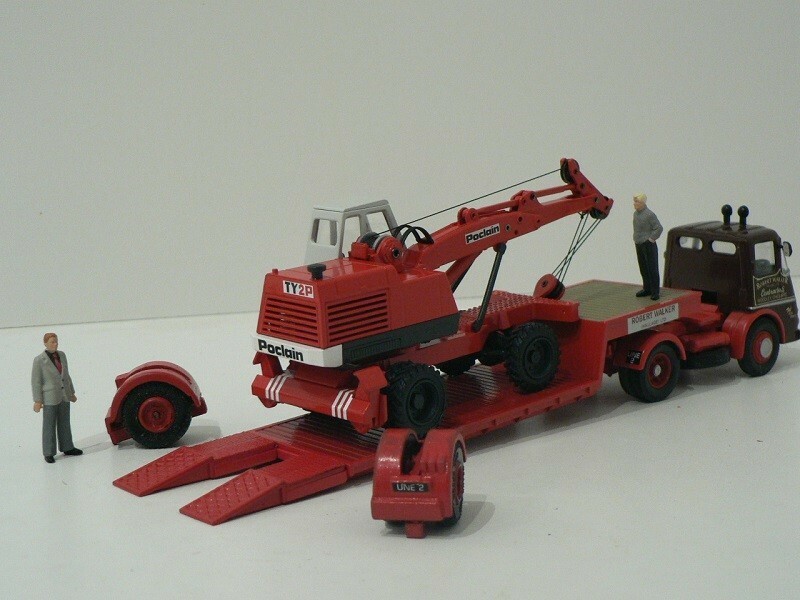 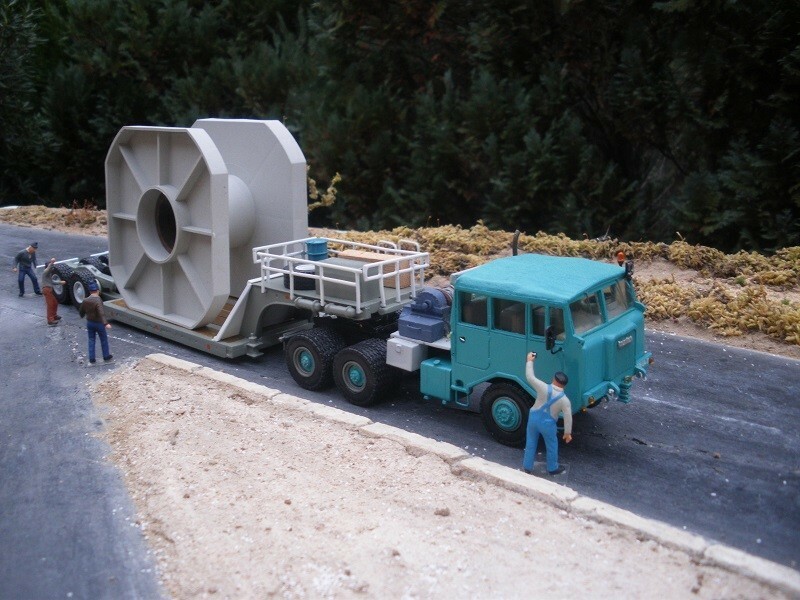 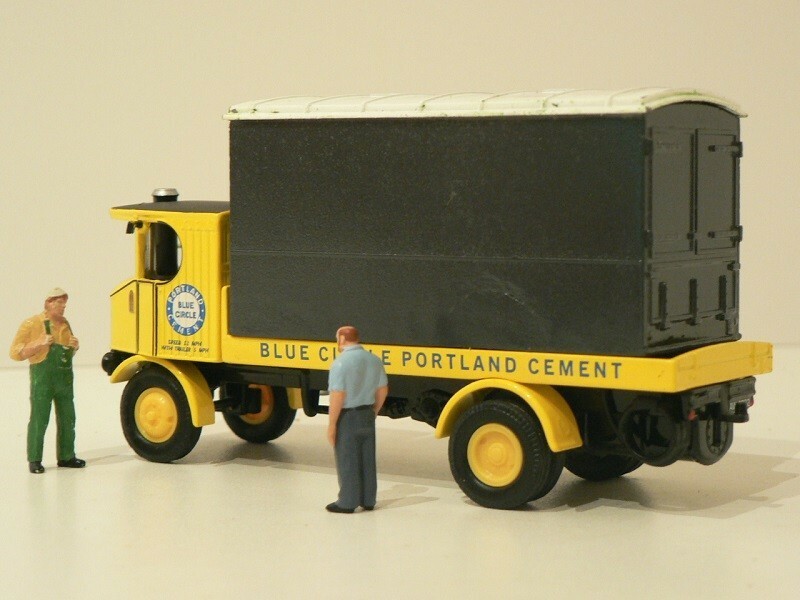 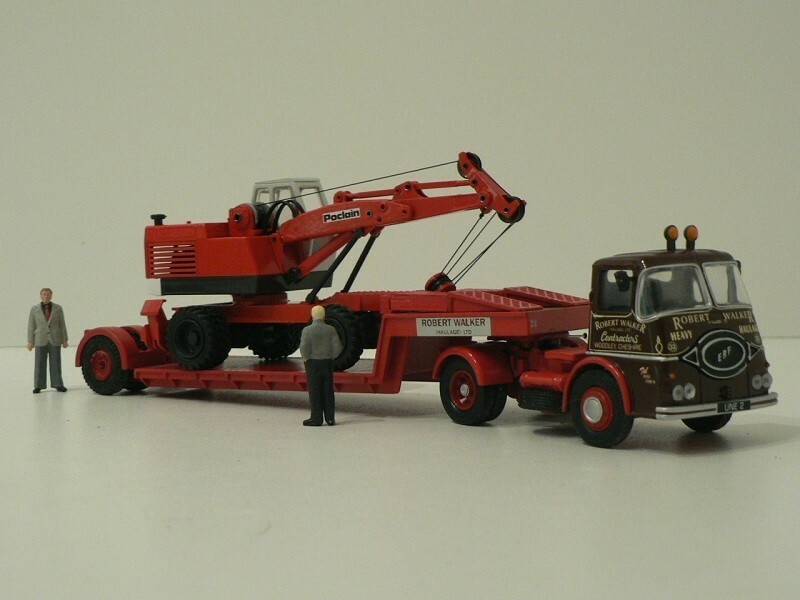 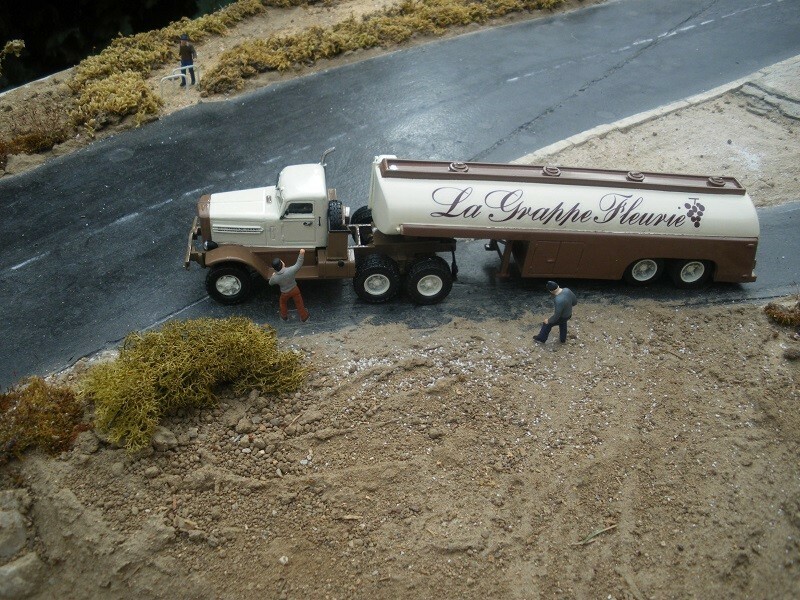 Guy that ERF tractor is an impressive model for Corgi and the graphics are eye catching. 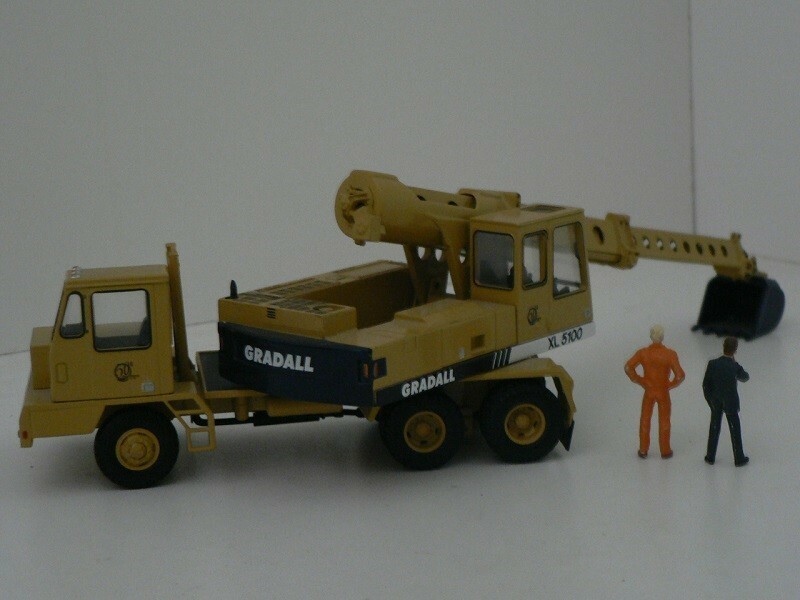 Guy the Gradalls are a great machine, they were ahead of their time when they invented that machine. 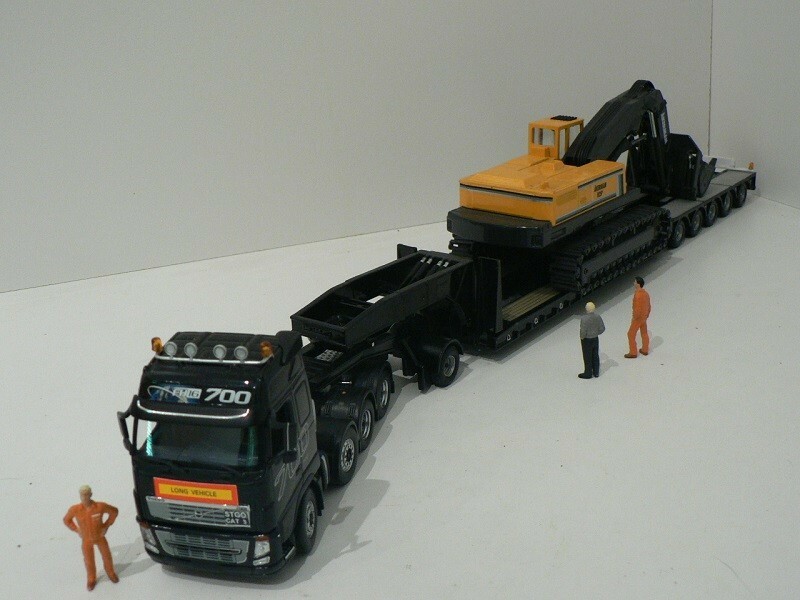 They are still seen on the construction sites and the municipality yards over here, but like you said they are moving towards the wheeled excavators. 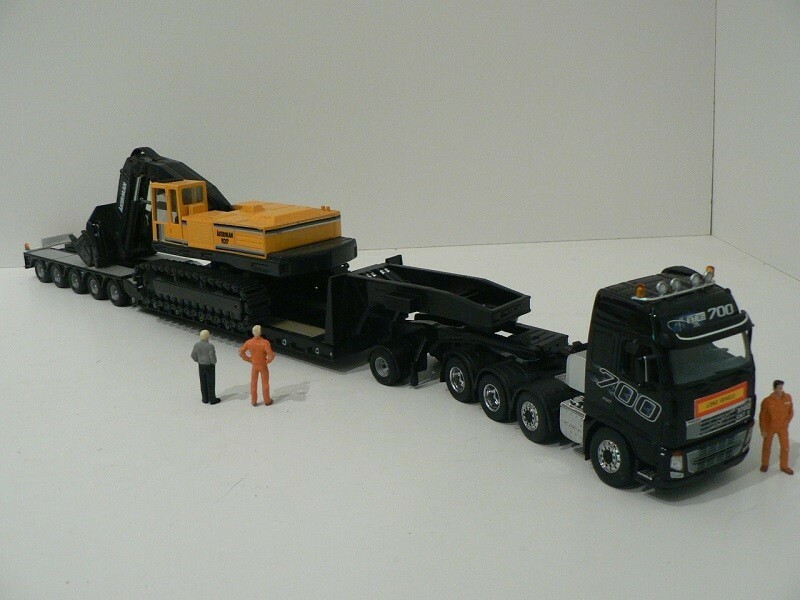 Cat is one stop shopping along with the financing and leasing packages why go anywhere else. 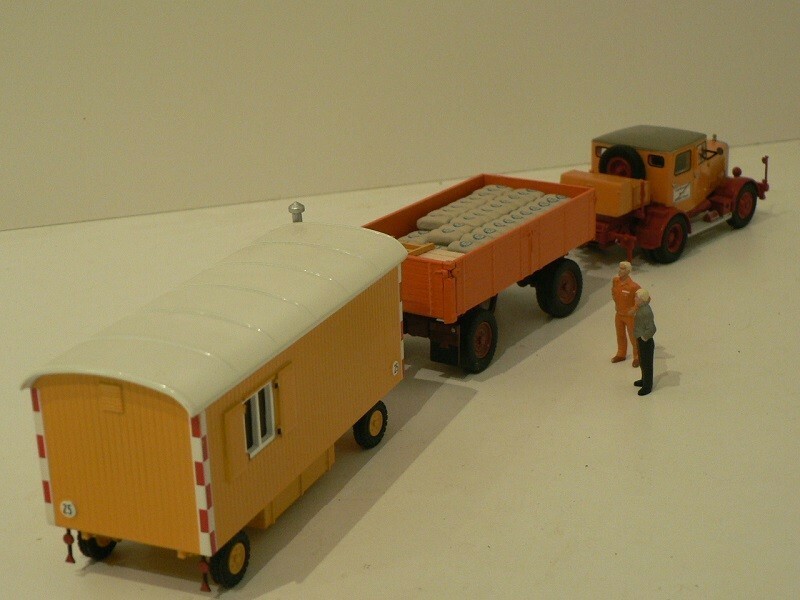 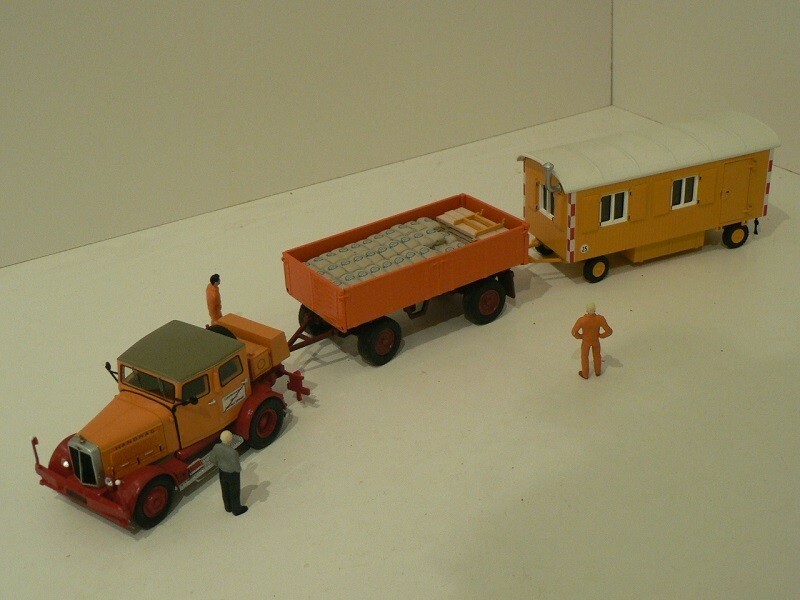 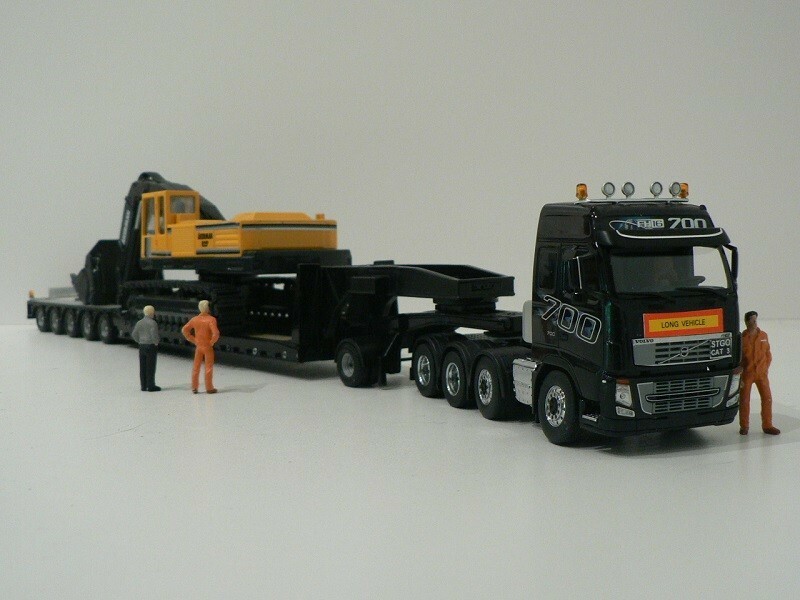 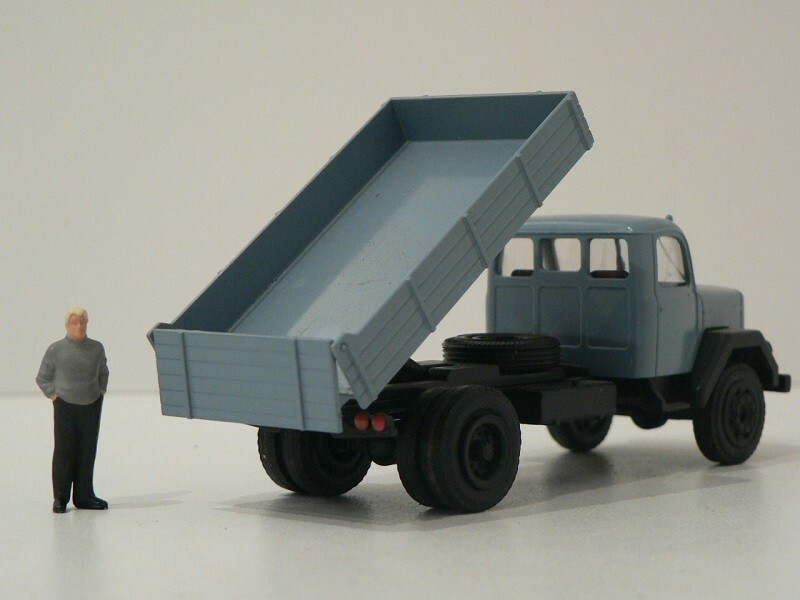 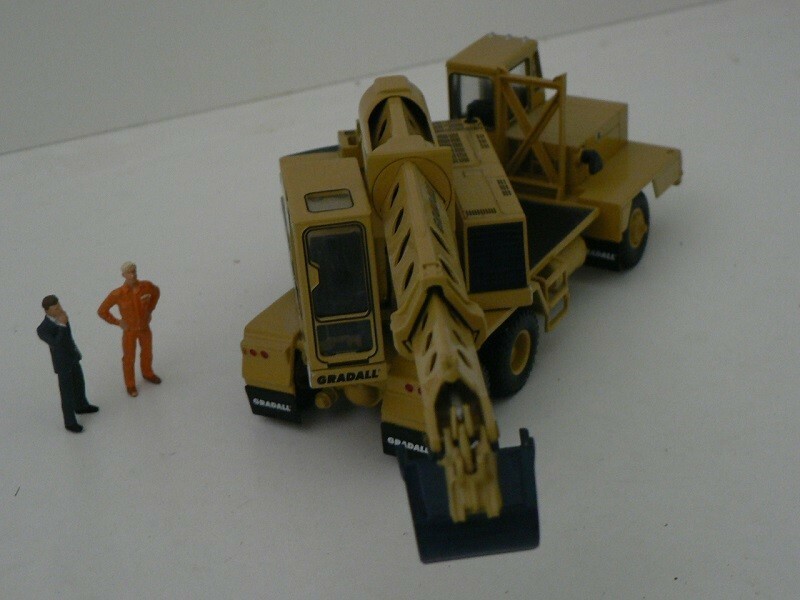 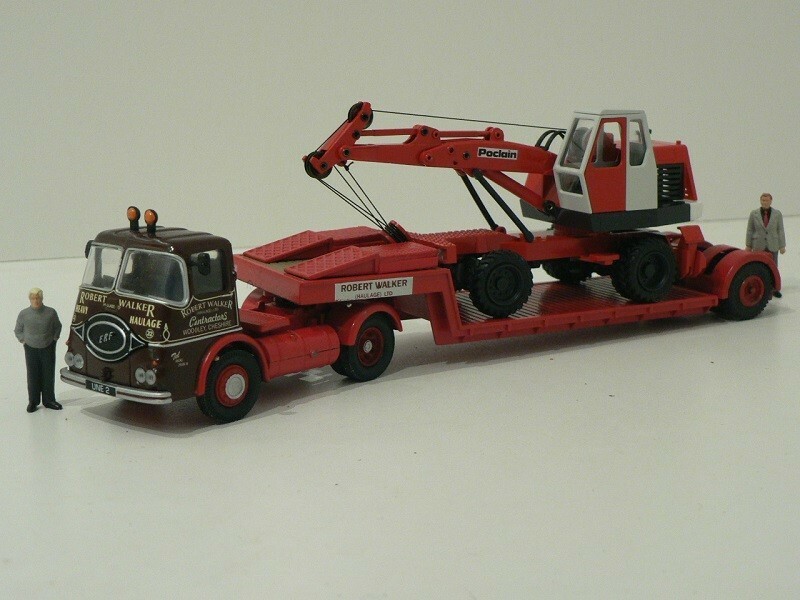 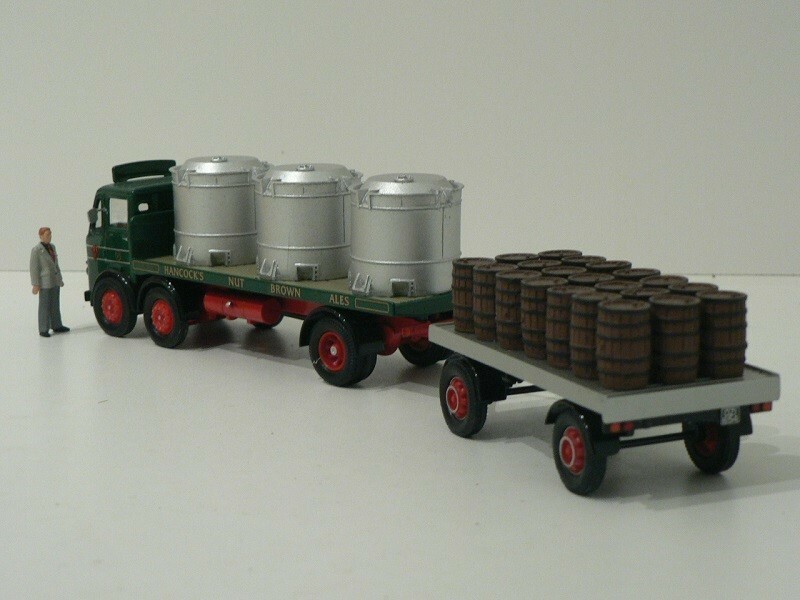 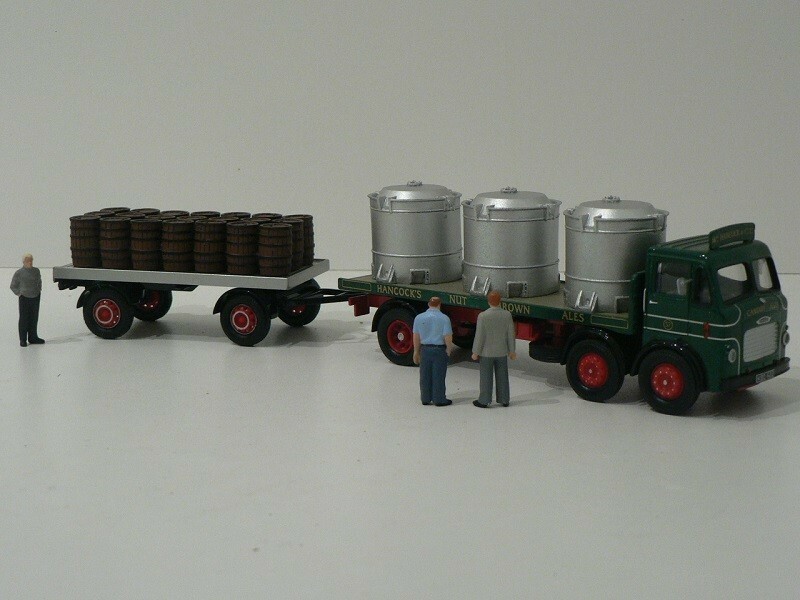 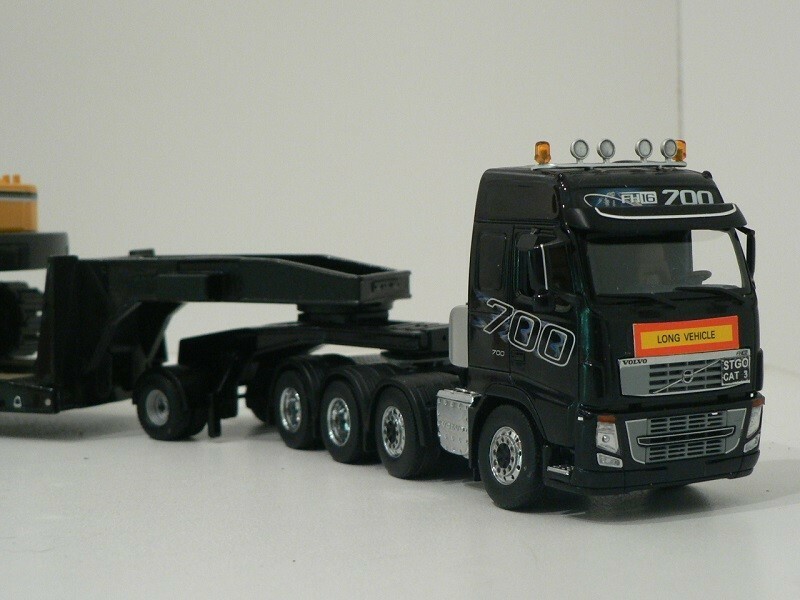 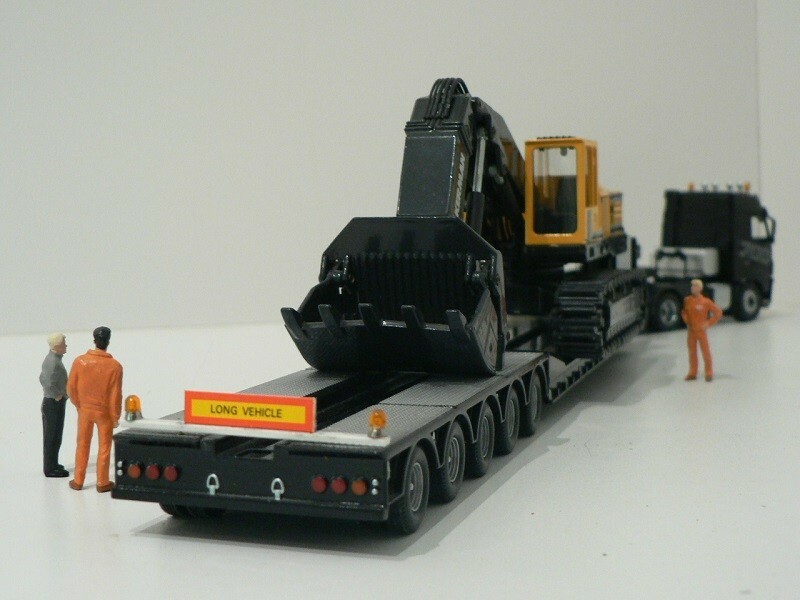 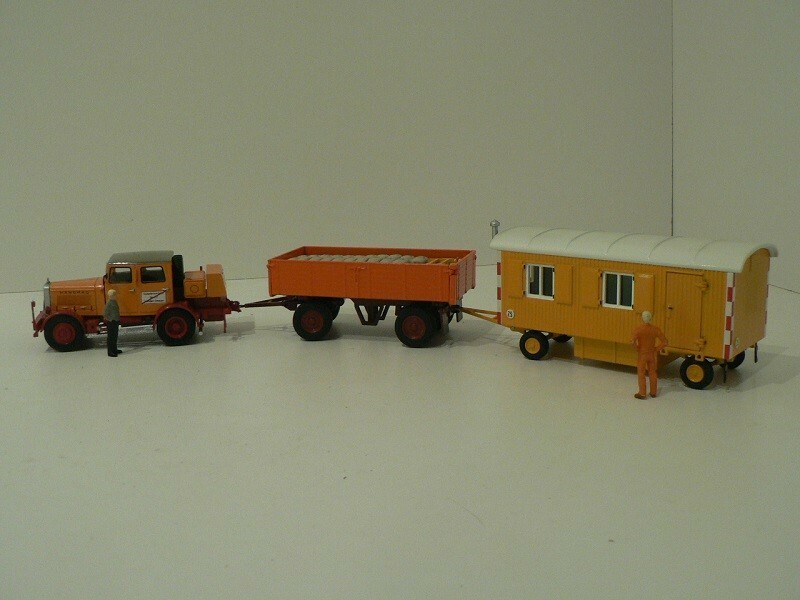 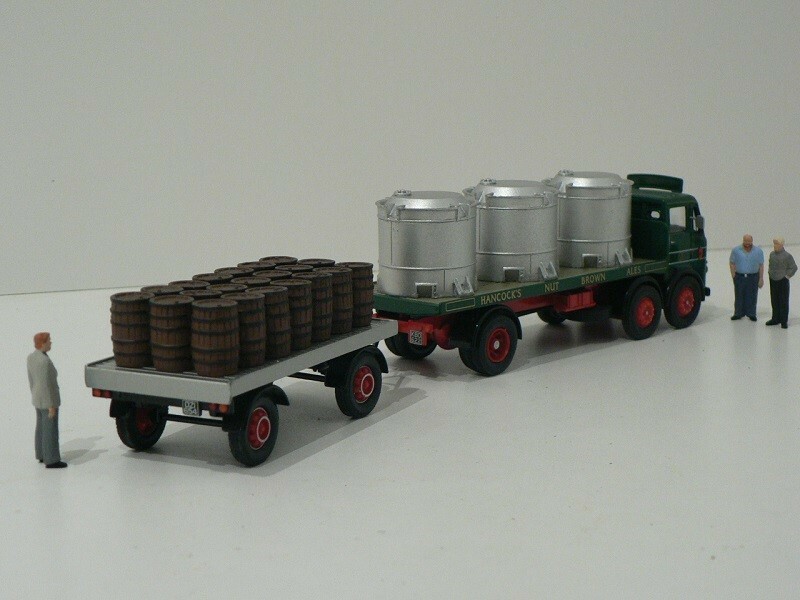 - LM&SR Flatcon K removals railway container (weight: 4 tonnes): Corgi element. 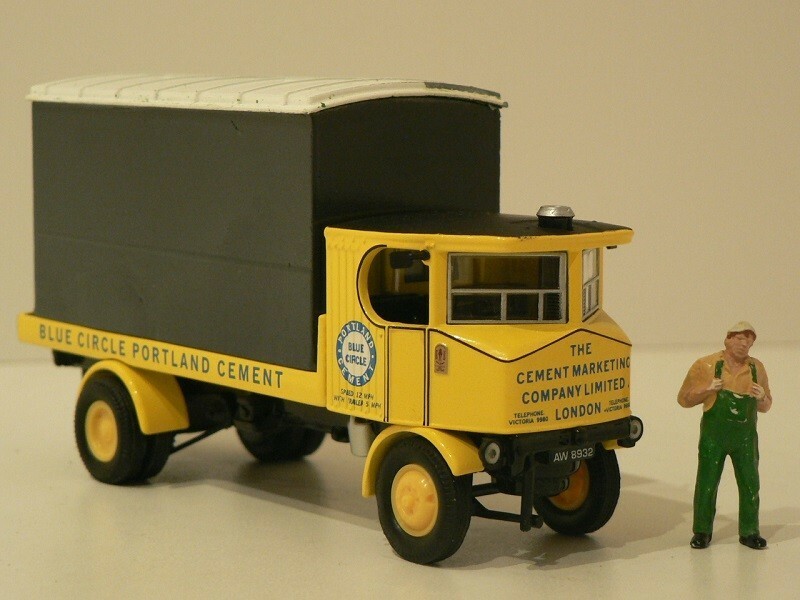 Note (*): while the rest of Europe turned early to the combustion engine, there was in Great Britain - where coal, locally extracted in large quantities, remained to mid-30s cheaper than imported oil - up to 160 companies producing steam engine road trucks. 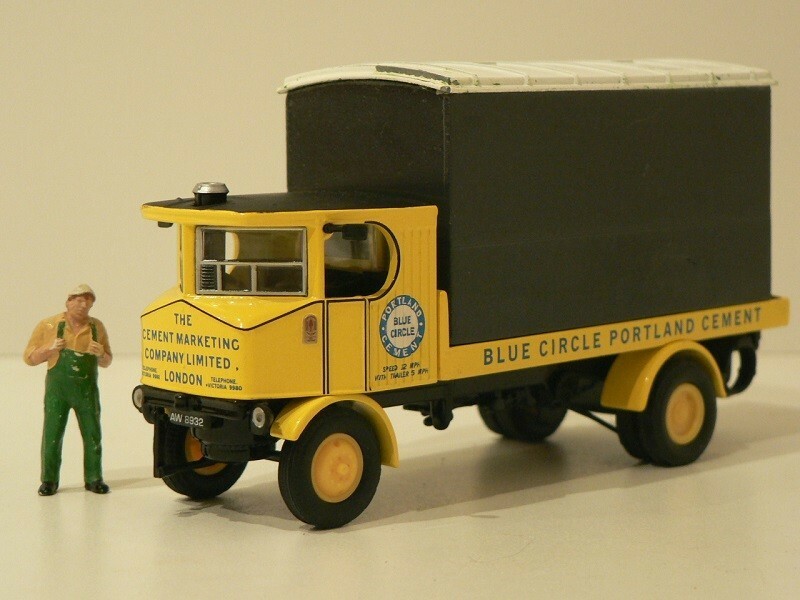 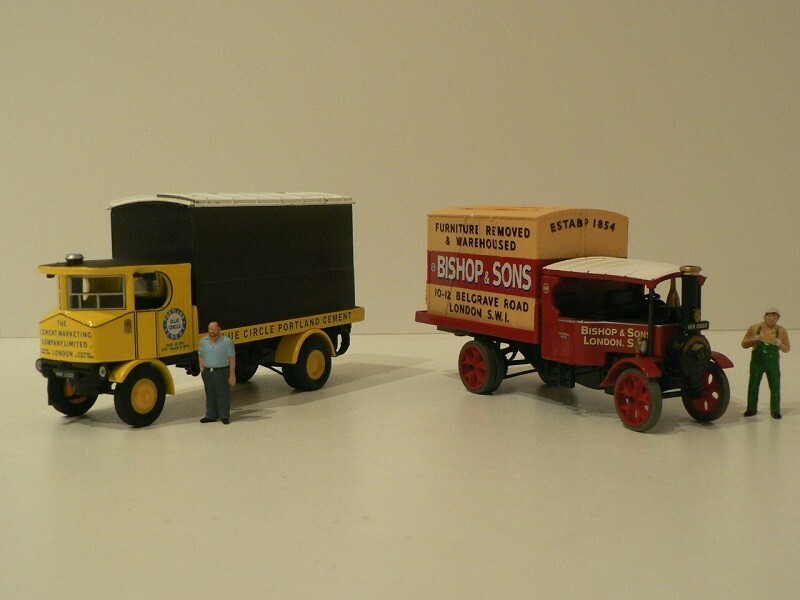 The internal market was dominated by 2 companies, Foden (they definitively moved away from steam to Diesel oil in 1932) and Sentinel Waggon Works (they produced soon after the end of WW2 their last steam vehicle). 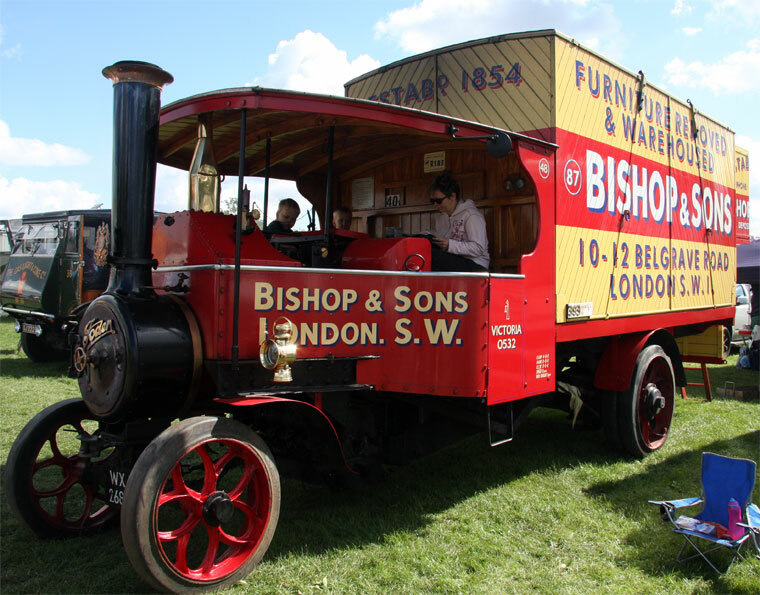 At that time, the way of determining steam engines power was not normalized, therefore hp indicated for steam trucks are only an estimate. 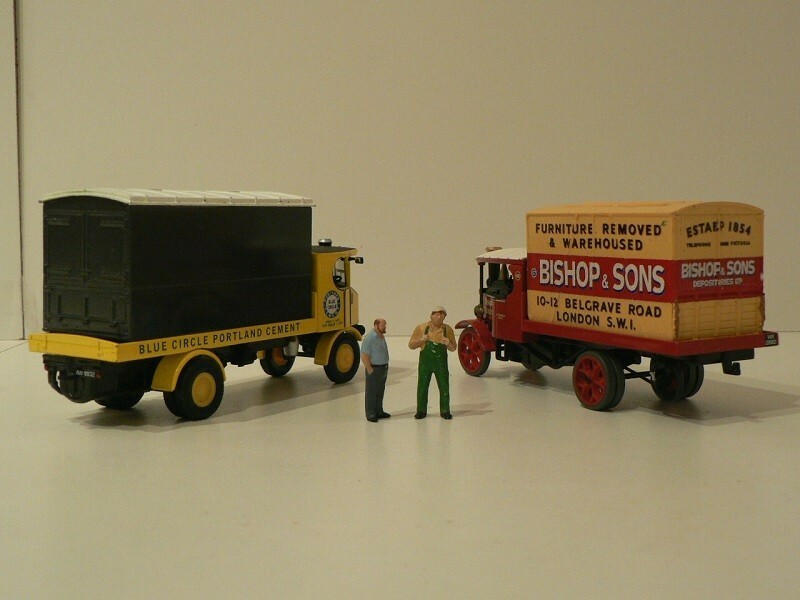 Guy nice looking trucks for having steam engines. 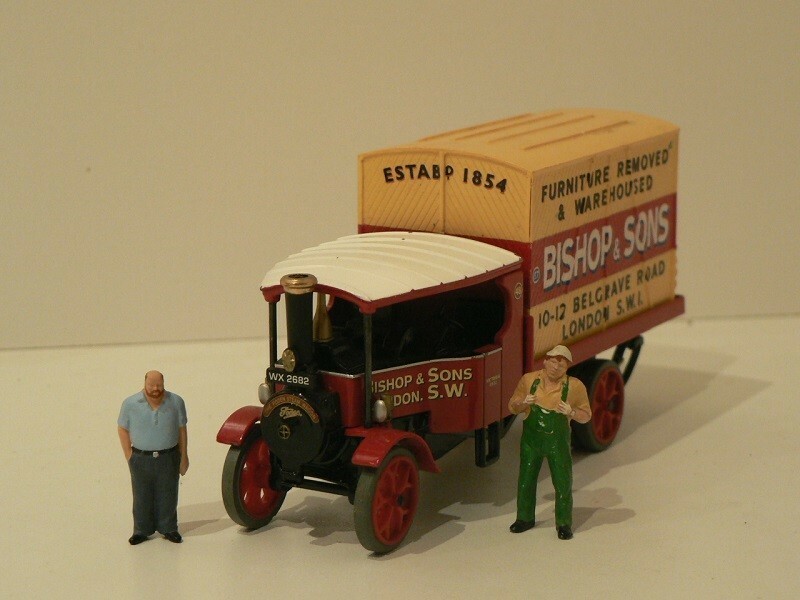 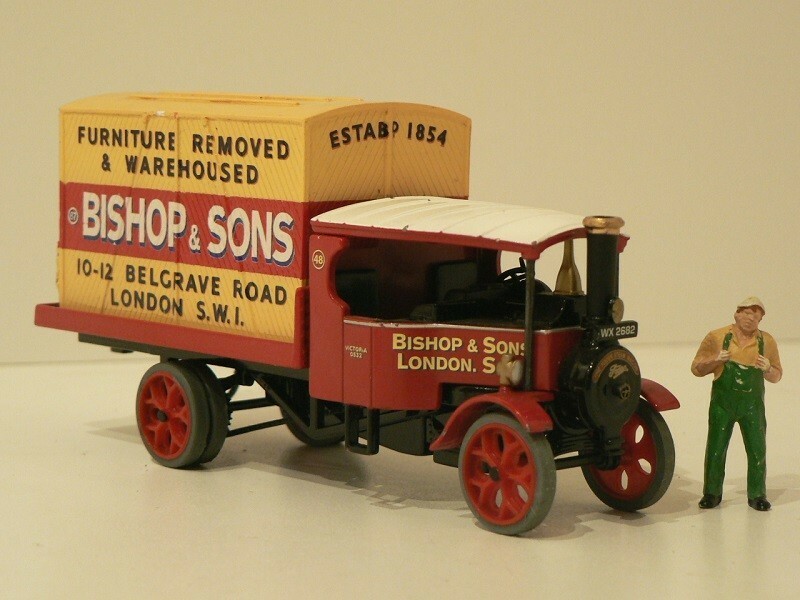 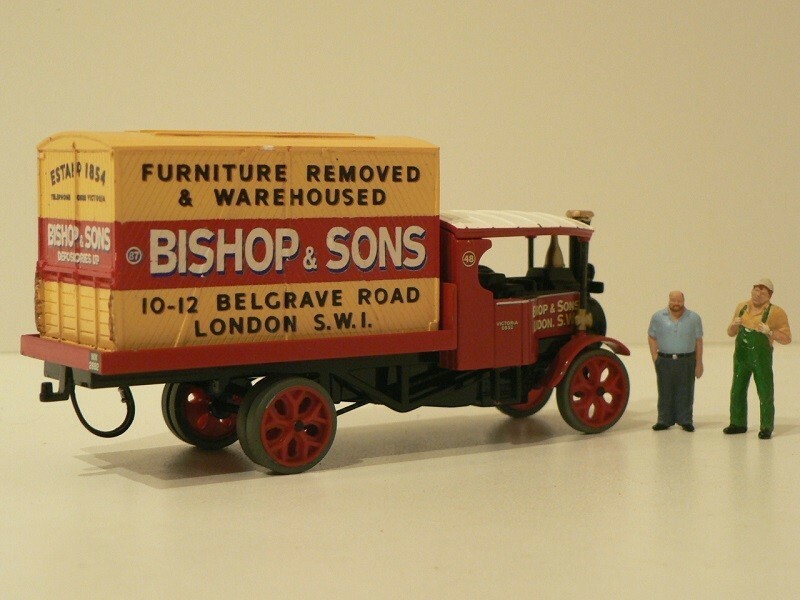 Just an added bit of info.Bishops,still trading today,as Bishops move.Company set up around 1854.One of the most identifiable liveries,and logos,in Britain for decades.They have a very big fleet.They have had every truck manufacturer,they have had every possible body type,especially with big side doors,as well as trucks with space for a 'crew',if they are travelling far. 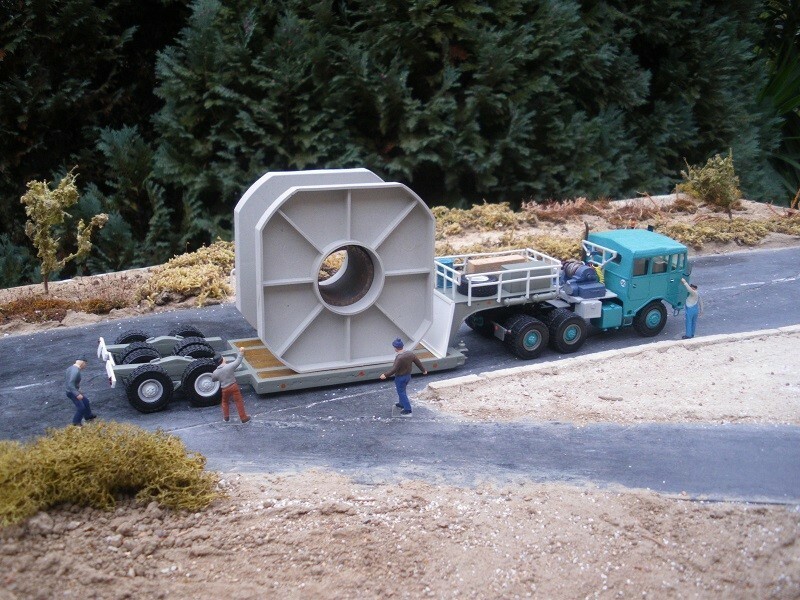 Many thanks for the complementary information.